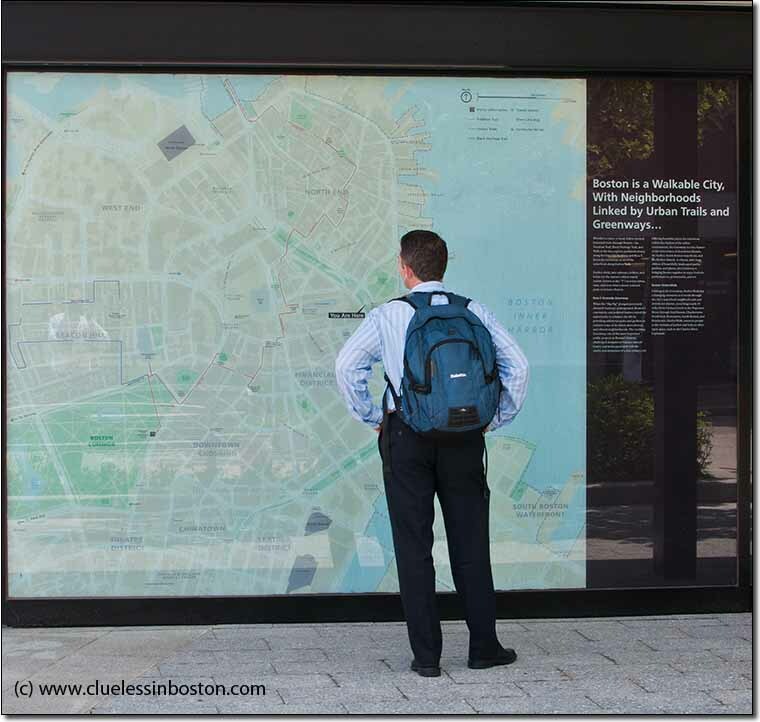 One of the new tourism centers just opened on the Rose Kennedy Greenway. I love a 'walkable' city... would love to walk Boston. Terrific visual aides, so appreciated by tourists. This backpacker looks very well dressed, if he's a tourist. Perhaps historical Boston influenced him. Now that's what I like to see. Walking a city. I wish. Boston would be nice today. He's not dressed as the average tourist! What a great, huge map! I'll bet he is a downtown worker. Lots of younger workers are using backpacks instead of briefcases. Nicely composed, Clueless. Boston is indeed a very walkable city. That's my life. So many routes, but how to find the right one? "Boston is a walkable city". I shall have to remember that. I asked my husband if we would consider visiting Seattle or Chicago and he promptly came back to me with five places in Boston that he wants to visit. I guess that is that decision made!